I know I’m a day late but I thought it was appropriate to celebrate my father. My father, from whom I get my name, Allen, is definitely worthy of celebration. Is he perfect? No, but he is my father and he helped to make me who I am today. My father taught me many things. 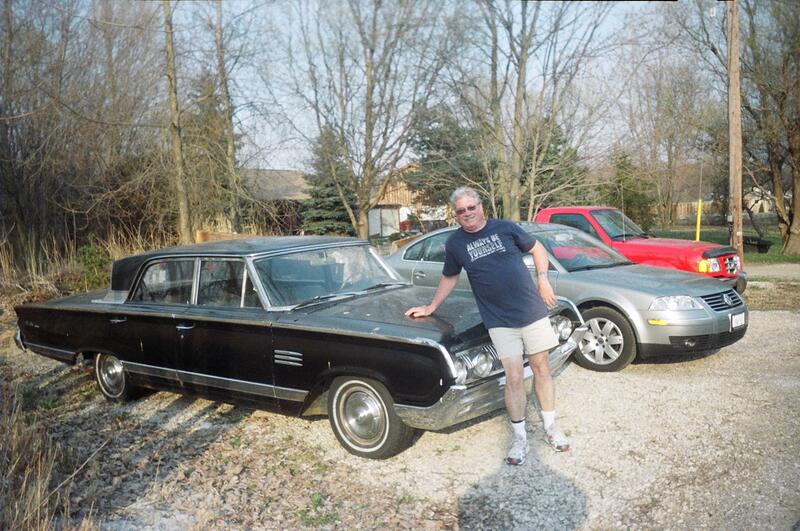 From this picture you can see that I got a love of cars from my father. My father used to have all sorts of cars and he’ll often tell you of his 73 Duster that he had with headers and all sorts of things on it. He used to bury the needle on that thing! While today he might say I know more about cars than he does, my love for them and my knowledge of them comes from him. My father also taught me that just because I didn’t do something the way he did it didn’t mean that was wrong. This was a valuable lesson growing up! Often times fathers can be domineering and can expect much more from sons than they can give. You frequently hear, “If you would have asked I would have told you how to do it right.” Not so with my father. He guided and coached me. He showed me how to use power tools for the first time (he has a love for woodworking!) and when I didn’t get it just right, he would just help me to do it better and allow me to make those mistakes. My father though, even though we tease today about hugging each other and such, taught me the most important thing I could use for the future especially with the hope of having children, and that is, a father can show his love. I remember the way my father loved me growing up. He would play with me, let me help him wash his truck, drive us on vacation to Florida just after he had worked a full 8 hour afternoon shift at Ford, do all sorts of things. And I always knew my father loved me. He wouldn’t just say it, he would show it. Even now, while I am sure he thinks it awkward, he tells me he is proud of me and that he loves me. I treasure my father’s love and caring guidance. You have to enjoy spending time with your father if you are going to go to seminary with them! While my father wasn’t saved growing up the Lord changed his heart when I was going to college. He sensed a call to the ministry and after 30 years of working for Ford Motor Company he went to pursue his M.Div. to become a pastor. What a privilege it was to graduate from seminary together (he with his M.Div. and me with my Th.M. in the same year!). We would sit in Greek together helping each other (although he would say I helped him more) and would laugh and learn together. We would have deep theological talks as we would grow in our theology. I know he would make a good pastor. Not from his theology, and not because he’s perfect, but because I have seen him live and I know he will be used by God to minister to a flock of His choice. He sees the benefit of going to school together and being in the same career that I give him the best books for gifts (he got the new PNTC commentary on 2 Peter and Jude from me for Father’s Day)! While I don’t live at home any longer, I cherish going home and just spending time with him. We talk, we laugh, we lay sod (on Father’s day weekend no less!). I would be privileged to serve along side of him one day in a ministry. There is so much more I could say but words cannot express them. Suffice to say, I wouldn’t want any other father. The Lord has privileged me to have the father I do.